This is the second and final part of the comprehensive guide to build a solid buyer persona. In the previous post we had discussed about importance of buyer persona and how to build the basic persona when you are just starting out. It covered the usage of sign up data, website analytics, social media properties and online communities for deriving insights and using that to answer questions related to the persona (demographics, background, objective, obstacles, cause of retraction and marketing message). While these are good enough in the very beginning, in order to build a solid persona we need to actually talk to customers and bring in the perspective other departments as well. It’d be really helpful, if you go through the part one before going ahead with this post. The whole objective of conducting interviews is to get new actionable insights. So scripted online surveys and won’t be of much help in this case. The answers you’ll get will be quite high level and most probably you would be already knowing the answer to those questions. What we need to do is conduct at least 3-5 interviews by asking probing questions to the answers given by the customers. For example: If you ask a customer about the most important factor that they look into while choosing a business app, the answer might be “ease of use”. Then you can ask next question to ascertain what all elements contribute to ease of use – “is it low learning curve?”, “is it relative to the competitor’s product?”, “faster setup?” or “simply a well-documented knowledge base?”. Any team that interacts with customers and has access to customer data can be on-boarded to the buyer persona creation process. That includes customer support, growth, sales, and more. By getting their perspective on customers you’ll surely unlock some things that were missed out earlier and build powerful profiles. Primary Objectives: What are the primary objectives of the buyer? What does the buyer want to achieve? Performance Indicators: The key performance indicators measured to track the success of the buyer. Obstacles: The barriers for the buyer, that would stop him or her from using your product in relation to the measured performance indicators. Buyer Journey: What process does the buyer follow to take a justified decision right from awareness, consideration stage to the final buying stage? Deciding Factor: The deal breaking elements of a product, that the buyer will look into while assessing different options. 1. What are your job roles and responsibilities? This tells us the nuances of their job and overview of general tasks. Whether they contribute independently, hands-on with what they do or they are more into people management. 2. What is the reporting hierarchy pertaining to your position? In B2B, this information can be vital, as it tells us who all in the organisation can influence the decision making process. Whether the person needs to get approval prior to committing to a purchase decision or the concerned person is the sole decision maker. 3. What do you usually do in any given working day? This question should give you a look inside the life of the customer. What is their daily routine? How do they start their day? How do they end their day? When do they feel pressure at work? What’s the most hectic part of the job? What usually happens outside of their work? 4. What kind expertise and knowledge is required to be successful in your job? Do you use any tool? This tell us whether the job require analytical mind, creativity or mixture of both. If they use any specific tool or love a particular app, it’d be useful understand why they love that app. 5. What are the biggest obstacles in your work? Here we find out the challenges he is facing to carry out his job. For example: If you are trying to sell a social media management application, a newbie manager might feel overwhelmed by the vast array of use-cases social media brings in for the business. At the same time an experienced manager might be facing challenges while maximizing social media automation or handling customer support. 6. How is success measured in the job? What are the Key Performance Indicators? Here we assess the basis of the success or failure in the job. What all parameters are taken into consideration and what kind of metrics are used to measure the performance. 7. How do you get latest information to be manage your job? This is one of the crucial piece of question. It tells how does your customer come across new information. It can be online media, news paper, event, co-worker or industry influencers. 8. Which forum, blog, news resource do you frequently visit? This tells us where exactly do they go to consume information. Of course it is a good idea to be present in the place where your customers are. 9. Do you use any social network for your job? This will help you shape up social media strategy. You can prioritize one network over another and focus on the ones where it will be easier to interact with your customers. For example: CTO and HR officer visit different kind of network for their job. 10. What kind of content will help you excel at your work? This is again a vital question from the perspective of content marketing. It helps us zero in on the kind of content customers would love to read. It can be about best practices, tutorials, case studies, research material, etc. 11. What are your biggest fears while adopting a new product? We get the answer to the problems that the customer foresees while making a decision related to a new product. These are the factors that would stop your customers from trying out your product. You need to make sure that these pain points are alleviated when the customer gets introduced to the product via any of the touch point. 12. What kind of research do you do while buying a product for your business? This tells us whether they find out any online reviews, check customer feedback or ask their colleagues. 13. What is the preferred medium of interaction with the service/product provider? Here we find out the type of channel, customer prefers while buying a solution. It can be online demo, webinar, one-to-one meeting, email or telephone call. 14. What do you want to achieve professionally in the next 5 years? This question tells us how your product can stay relevant to the customer even after a long time. What kind of long term strategy you should adopt to make the customer stick to the product. 15. Give an example of end to end buying process of a product you bought recently. Find out if the customer migrated from a different solution and what was the root cause. If it was a fresh purchase, find out how they found out about the solution, what kind of research they did, how did they compare it with the alternatives and what made them finalize the product. You can download the template given in the previous post on buyer persona (link given at the beginning of this post) and fill it up with what you have found. Then you can use it to refine your marketing message. 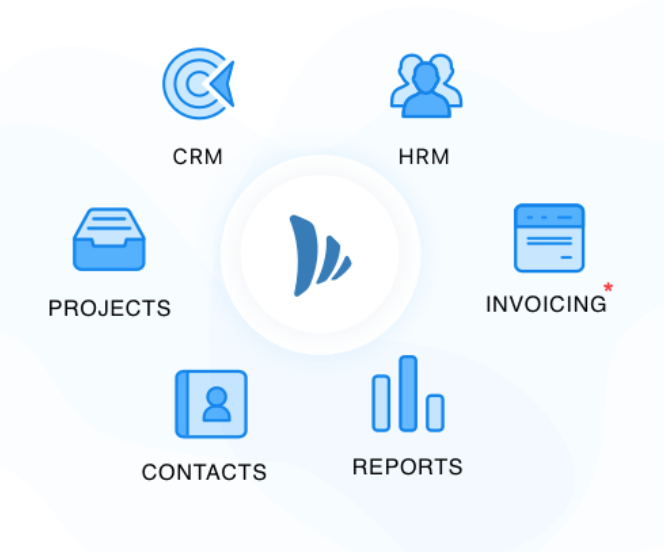 Note: TeamWave is an integrated suite of free business apps, that brings Project Management, CRM, Contacts Management and HRMS into a single platform. Really great article! Thanks for that. But how do I make my customers respond to all these questions? What are the best practices when asking a client to answer a survey? Should I offer anything in return?